The outgoing head of the financial services regulator has claimed that the run on Northern Rock could have been avoided if his advice had been taken to help Lloyds TSB take over the ailing bank. 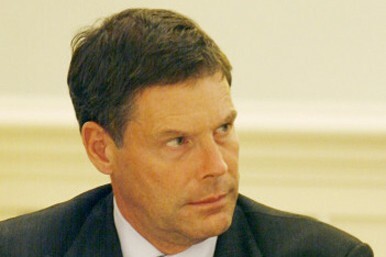 Hector Sants, who is stepping down as chief executive of the Financial Services Authority at the end of the month, said he urged the governor of the Bank of England, Sir Mervyn King, and the then chancellor Alistair Darling in 2007 to provide liquidity support so that Lloyds could buy Northern Rock. But the support was refused and Northern Rock subsequently required a taxpayer-funded bailout to avoid collapse. In an interview with the BBC, Mr Sants said: "I think things would have been different if the government and Bank had taken my recommendation that they should provide liquidity support to Lloyds to purchase Northern Rock. "I think that would have made a difference, it would have avoided the queues at Northern Rock and it would have changed the general climate in relation to the old building society sector that had moved into the banking sector. "So at that early stage, if we had avoided the Northern Rock problem, which we could have done through that action, then I think the tone and people's view of the UK banking sector would have been different." Mr Sants also warned that the responsibilities of the Bank of England may be "just too great" for one person when the governor is handed powers to regulate financial services. He backed Chancellor George Osborne's reforms to hand more powers to the Bank but cautioned: "We could be concerned that the operational task given to the governor as an individual - of course, that will be a new governor by the time the reforms come into place - is just too great... I'm comfortable with the powers given to the institution, but I would have a greater spread with how those powers are divided up." Preparing for euro crisis: ATM lockdown?